As a fan of organized emotional shopping, I deliberately choose to buy a new wardrobe item because it lifts my spirits. I also often choose to wear a particular outfit because it lifts my spirits. The attributes and sensibility of the items that I buy and wear that continually spark joy are consistent, and it’s mainly a visual thing. I’m taking it as a given that the fit is fabulous, flattering or just flattering enough, and comfortable. My mood is VERY positively affected by the colour of wardrobe items. It doesn’t matter how incredible the item looks and feels, it won’t make me happy if it’s the wrong colour. Colours that make me happy are my usual sour brights: tomato red, citron, apple green, neon green, chartreuse, shocking pink, coral, watermelon, Dutch orange, and bright turquoise. I have an assortment of bright coats, jackets, bags, knitwear and blouses because they lift my mood in our grey and rainy Seattle weather. My bright green specs and citron wallet lift my mood daily, and add a happy touch to neutral outfits. I love sour brights, but items in shades of white also make me very happy. Of all the neutrals, white is the brightest and most crisp, which is probably why it lifts my mood. I have coats, jackets, jeans, skirts, tops, footwear, belts and bags in white, bone and cream. I wear them year round. Some of the items are wardrobe essentials, and many are wardrobe workhorses. Sparkly things are bright (there’s a pattern here.) I love gold shoes, watches, hardware, AND white pearls. White pearls add a bright and shiny component to my outfit without fail. I also like sparkly knitwear. I tire of patterns that aren’t classics, so I stick to polka dots, stripes, florals, checks and animal prints. My spirits are especially lifted when I wear florals and stripes in the Spring and Summer, and checks in the colder months. I love lace because it’s Modern Retro, romantic and pretty. All my underwear is lacy, which makes a difference to how I feel in my outfit despite its lack of public visibility. I have an assortment of lace dresses, tops, and adore lace trim. There’s something about wearing impeccable quality that lifts my spirits, and it’s as simple as that. Quite magical. I’m happiest wearing dressier clothes and polished outfits, full stop. My casual outfits are “dressed up” because it lifts my spirits. I can be working from home, cooking all day for a dinner party, or having a quiet day with Greg and Sam – and I wear a regular casual or smart casual outfit with pearls and make-up. This brings me to why Ann Taylor’s flared striped sweater did not work. I loved the way it felt, draped, moved, and fit. Luxurious, pretty, sufficiently dressy, interesting, fresh, romantic and tailored. The ink blue was fab, but the forest green did not make me happy as we head into Spring and Summer. 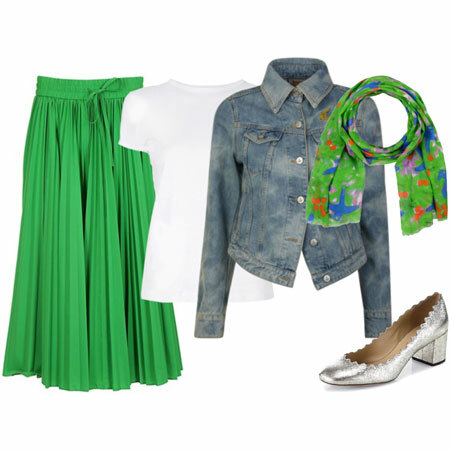 I tried to brighten things up by combining it with white jeans, white footwear, pearls, green specs and a citron bag. But I couldn’t shake that the colour combination dampened my spirits. Back it went. Over to you. Which types of wardrobe items lift your spirits, and why? How different are the attributes of those wardrobe items compared to mine? Reflections of wadrobe Happiness... — by Ledonna N.
Love this topic. Beautiful list and I highly endorse spirit lifting. -Bags that suit the outfit and my mood. Makes me happy to choose. Great topic! Love your list. What an interesting post, Angie! 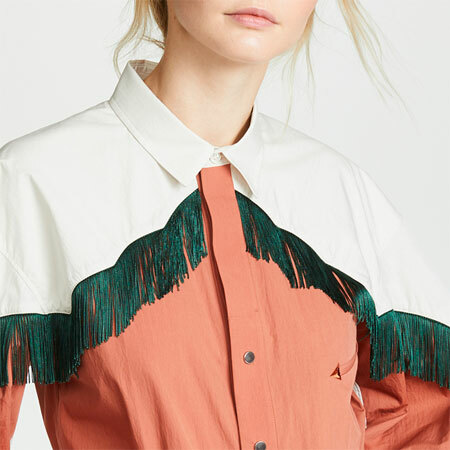 You spring wardrobe additions are all gorgeous and work so harmoniousness with each other. Thank you for sharing the story about the AT sweater – it worked for me especially since I was looking to add some cooler greens to my wardrobe. 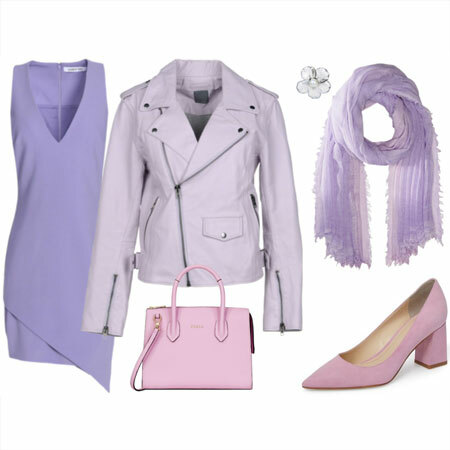 cool colors such as purples, blues, pinks; denim that is trendy, comfy and well fitting; shoes that are comfy and trendy; wrap tops &dresses; peplums and waist definition in general; great quality items; polished, sleek and dressy items; and outfits that are well put together. GREAT topic. I was literally just thinking about this topic this morning as I was getting dressed. I slipped into my “telework uniform” of black form-fitting capri pants (not leggings though) and oversized bright white button down blouse. I felt appropriate, capable, satisfied, and happy. Both items in the best quality and fabric “feel” that I can afford. I may not need color or variety as much as you to reach a high degree of satisfaction and happiness, but I do need the best “feeling” fabrics I can find against my body. This means silk, linen and cotton. I’ve learned through time I need natural fabrics. Angie, I love that your clothing brings you Joy. That is a great way to assess an item for your closet. It also makes “closet time” fun every morning! I am still learning what brings me joy. It may be one fabulous item that make a whole ensemble sing. I go through a lot of trial and error to make this happen. One of my latest “happy pieces” is a white shirt with thin navy stripes by Ralph Lauren (courtesy of TJMaxx). It fits well. It looks polished. It is long enough to wear with skinnies but is not oversized. I can wear it with a floral scarf or pearls. It is a neutral that allows my accessories to shine. Now if I can just repeat this joy factor for my next purchase! I love color, so I wouldn’t be happy with a mostly neutral wardrobe. I’m particularly fond of purple, but finding the shades that look best on me is not easy. I keep looking, though. Lace and embroidery make me happy, so I’ve been acquiring some nice pieces. I also love my dresses, and wish there were more occasions to wear them. Ah! I need to add this to my list of things to ponder. I have a happy colour and it’s coral! May coral never go out of fashion. I have a coral top, cardigan, boots, scarf, chinos and jewellery and until fairly recently a coat and handbag. Obviously I don’t wear them all together but even the teensiest bit of coral in an outfit makes me happy. I’m another one drawn to sparkle. I’m quite annoying to shop with as I have a habit of going, ‘Ooh,’ and making a beeline for a sparkly jumper miles away. I very rarely buy these items though. Colour is probably the most important factor for me – in my case, shades of blue, purple, teal and berry colours. It’s very rare for me not to wear colour somewhere in my outfit, even if it’s just a scarf or bag. Silver and pewter shoes and bags lift my spirits, as does silver jewellery. I share your love of lace, Angie, although this is a fairly departure for me. I need to add more to my wardrobe, as lace never fails to make me feel feminine and happy. Stripes make me happy, too, and they are ever-present in my wardrobe. I’ve always loved them. Thank you for getting us to focus on happy thoughts! Thank you for another great and thought provocing topic! Shades of blue, coral, orange, green, pink. Colours that are not black, grey,brown and beige. A new thing for me: having a slightly bigger wardrobe than I used to that makes it possible to create *many* outfits that are different and that I like! And when adding one new item, I get several new outfits that I’m happy with! This actually has brought me much more joy than I expected. YLF influence, perhaps? I’m so with you on impeccable quality, Angie! Another thing that gives me joy is heavy-weight fabrics that don’t move much, and on the other hand very sheer floaty ones too. 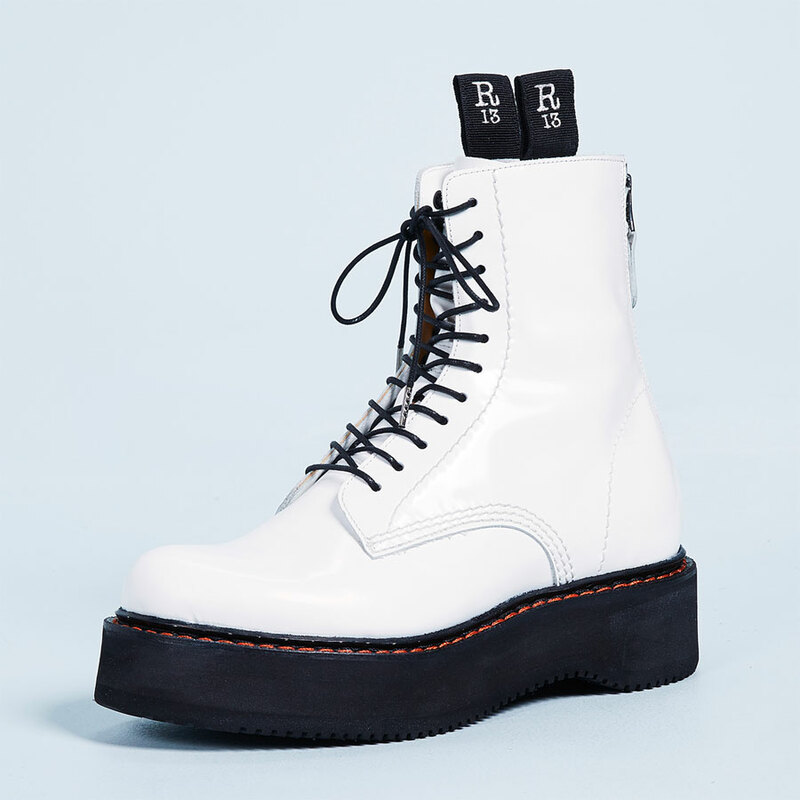 Wardrobe items specifically: neat leather jackets with waists, playful Dr. Martens etc footwear for walking a lot, interesting, uniquely-cut dresses that fit perfectly. Gives me more food for thought. I can identify several very mood- lifting colors but I’m not finding them in the types and quality of clothing I need. I like burgundies but it’s the juicier raspberry and cranberry and nearly magenta that look livelier. So my overall wardrobe is more somber than required. I’m hanging on th my raspberry trench coat for dear life but then I only get to wear it to and fro. It’s hard to rely on things like handbags because they’re not ” there” most of the time and also that’s not my style to have pops of handbag color. I wish I could find more elegant or structured and good quality tops in some specific colors and great fabrics. And dresses! These colors come and go, I guess. Maybe I should search harder by color. As one can easily see, all Summer things! (I wear some black in Summer – In Winter it makes me feel depressed). This is such an interesting post. Color plays an important role in making me happy. I tend to gravitate toward deeper/more saturated shades of blue, purple, and green, which flatter me more (especially when they’re close to my face) than really bright or pastel tones. I’m also happiest when I have variety in my wardrobe. For work, I need to look more dressy and polished (and I enjoy looking this way), but I also have fun with being a little more RATE in my casual wear. Other things that make me happy are metallic shoes (bronze and pewter as opposed to gold and silver), which allow me to bring a little more sparkle and shine to my look. Last but not least, comfortable clothing and footwear are a must for my happiness. I’m struggling in my connection to color at the moment, so I really appreciate your post! I can’t decide if own feelings about color is changing, or if I’m just feeling less confident. I need to explore this — probably for reasons that stretch beyond fashion and style. I have a great collection of deeper colored items that are suitable for transition from summer to autumn, but I’m lacking for the shift into spring. I’d love more orchid and mid tone colors. I’m going to try to make the most of what is in my closet in the next few weeks! Angie just looking at your spring purchases makes me feel happy – such a beautiful and cohesive addition to your wardrobe. – Beautiful construction and interesting detail. – Classic patterns, but with a little twist. A recent shirt I bought rather than small polka dots, it has little stars. I love it, because the stars are subtly different, even if I am the only one who notices that detail. – Comfort, clothing cannot just look good, it has to feel good and wear well, non crush materials, soft sweaters that don’t pill etc. This is even more important to me with footwear, it is pretty rare for me to buy any footwear that I cannot see me lasting all day in. – Clothes that I feel polished in. I bat for team dressy, so even my casual clothing is rather dressy (and I do love lace too)! My list is very similar to yours – except lace. Love your spring additions, makes me happy just to look at them. Color is also the most improtant factor for me but before I even get dressed my mood is lifted by a coordinated and organized closet! Next the correct colors for me go on. Since I have let my hair go gray it is creamy, warm light neutrals, soft warm grays….but always with a pop of brightness somewhere…..Angie’s tomato red and soft aqua are my favs. My fabrics must be soft and luscious feeling. Great topic! Very saturated, deep shades of red, teal, and navy; watercolor prints; pewter handbags; sparkly jewelry (especially with clusters of marquise stones set in rhodium); retro fit-and-flare dresses with wide v-necklines; and dressy heels all lift my spirits. — Impeccable quality in cool neutrals. Brights (on me) make me avert my eyes; learning to accept this has been a long and expensive road. I’ve been thinking about this because I have a definite silly, whimsical side that is not represented at all in the way I dress. I take absolute delight in crazy-pants, pattern-on-pattern color and texture. But I have much emotional angst if I dress in a way that calls attention to my clothing choices. I feel conspicuous and I second guess myself to no end. So, I seek the peace of dressing more quietly though I occasionally miss the exuberance of the road not taken. Well now great topic and break down. Very thoughtful. I know I am an emotional drama dresser. Back then as now emotional dressing was at the for front. I took this and fliped it. I dress to uplift my mood. I dress because it is what brings me happiness. My wadrobe is my happy play safe space. Drama because in. Real life I hate confusion drama negative strife. I believe clothing can give good drama. Like some of you, I am still figuring this out, because I only recently started asking myself this question. And it’s trial and error. I’ve bought things before that I thought made me happy but then didn’t. Either I bought them on a whim, or they didn’t combine with other things in my wardrobe, or the colors weren’t right for my skin tone, or they didn’t fit right. I’ve also bought happy things that were terrible quality and didn’t last long…a short-lived happiness, I guess. I do have things that I reach for when I want to feel awesome: anything leather, bold plaid or graphic prints, certain colors in the cool palette, stripes and polka dots, my heels, my moto jackets and blazers. I am definitely on team dressy. I love it when my outfit is well-structured with an intentional feminine touch. I’m also on team quality: I’m happier with a few great quality pieces than lots of cheap ones. And I’m realizing physical comfort is not as important to me as psychological comfort is; I’m willing to endure a bit of discomfort if it means looking great. Thanks for your thoughts, ladies. Fascinating. Lots of love for jewel tones and burgundies. Eliza, a wonderfully comprehensive and heartfelt list. Lots of subtle yet very meaningful emotion in your choices. I LIKE it. Tanya, thank you. The harmony of my items – as you described it – seems to happen automatically these days because my sartorial choices are very, very consistent. Boring to some, garish to some – but works for me. (I can enjoy the AT top on you. It’s SOOO gorgeous). I would have guessed wraps, wedges, purple, trendy denim, and bombshell frocks make you happy. Wedges are plenty current. Get the duplicate Nine West pump. Super cute, and all the colours work for you too. Sterling, you are less visual than I am it seems. Your sense of touch has a greater need to be satisfied than mine. My sense of Sight needs a perpetual boost to get my endorphins going. quietgirl, wise words. Sounds like a classic stripe makes you happy. Me too. Wave to Inge and Suz. BC, high five on the lace. Summer, high five to lace and stripes. Sigrid, a GREAT list. We share some spirit lifting faves. MovingFashionForward and SaraF, nurture that magpie gene. Sisi, I love Spring & Summer fashion with you. Beth Ann, perhaps it’s colourful patterns you’re struggling with, as opposed to the solids. Bijou, you are as sweet as ever. High five to your dressy and lace gene. Very you. Anchie, YES. I noticed that we like the same colours. FUN. I’m wearing the citron Furla for you. KCourtney, YES. Good one. An organized and neat wardrobe makes me very happy too. Emily, go down the road you haven’t taken. Explore it. You can absolutely incorporate a whimsical element into your style. HAH, Ledonna. Your Gran cracks me up. If anyone can create happy drama in their outfits it’s you. Rock on. Mel: “And I’m realizing physical comfort is not as important to me as psychological comfort is; I’m willing to endure a bit of discomfort if it means looking great”. That’s an amazing epiphany. Good for you. I think high quality, good design, and good fit lift my spirits. Angie, what you take for granted : “I’m taking it as a given that the fit is fabulous, flattering or just flattering enough, and comfortable. “, I’m still working on . If I can achieve these things, that lifts my spirits. Just finding something that ticks off those boxes is a major feat. I love to LOOK at colour, and a beautifully merchandised store of any kind can lift my spirits. Floral shops, design shops, clothing shops, any of it can fill me with a sense of energy or calm , depending on the colours. I like color in my wardrobe. I tend to favor bright colored tops, sweaters, and coats or jackets. The only color I’m cautious about is bright yellow, I think that is tricky. I prefer dark colored jeans, skirts, or trousers, but I do have some bright colored ones. I’ve learned from experience that white jeans are not very practical for me and so I avoid them. Not a fan of lace dresses, skirts, or tops. I also am not into the ripped jean look that is so popular at the moment. Also, I don’t care for the cold-shouldered look at all. Dress the way you want to feel. I love this! It’s brilliant to use all the tools in your arsenal to lift your spirits. Colors lift my spirits in different ways. Blue is calming and makes me feel at home, purple is funky and makes me feel cool, green feels strong and grounding, and pink makes my heart happy. But it’s lemon yellow that makes me do a happy dance! For me, it’s what I call my “sugar eye prints”. I have a Pinterest board dedicated to this, lol. Lots of dark florals and botanical prints among other things. I also love the *feel* of certain clothes, like skirts swishing around bare legs and the satisfying thunk of striding around in boots. Ah, what a perfect post for today! It’s cool and rainy and I was about to wear a dark print blouse, black leggings (more like pants) and a black jacket…but wasn’t excited about it. Now I’m inspired to wear light layers in bright colors. Spring/summer clothes in brights and whites also make me happy, especially coral, the right shade of orange, and magenta. More than anything I feel extra happy without any layers. And even when I’m dressed casually I enjoy a level of sophistication/dressiness. Although I also feel fab in a casual outfit that’s extra fashion forward. Lastly, like you, Angie and many others, I am super happy in high quality garments! Bold stripes have made me happy for as long as I can remember. Certain plaids too (black watch!). Vintage denim. And high-quality natural-fibre textiles in general. Oxidized silver, pewter, and other cool/dark/matte metallic elements. I have a lifelong aversion to gold. Dainty/tiny jewelry — either geometric or critter-themed. Sage/juniper green — that gorgeous, elusive blue-green-grey shade always makes my heart sing. More so than make-up, perfumes and essential oils are major mood-lifters for me. I have an arsenal, and try to find the right one for every occasion. I use unscented soaps, laundry detergents, and lotions, so whatever fragrance I’m wearing can really sing. Great fit, luxurious fabric, polished boots, pretty undies, and a bright topper are my delights these days. My new scarf and watch also lift my spirits–both were pricey, but I finally found exactly what I was looking for after months of searching. So good quality, soft comfy fabrics, and good fit make me very happy. If I feel constrained in clothing I am not happy at all. – jewelry that I have bought on my travels. 1/ Impeccable Quality – When I put on a piece of clothing that is beautifully made I feel amazing. 2/ Beautiful Earth Tones – I have always loved orange. We go way back but I really feel my best in warm earthy neutrals. 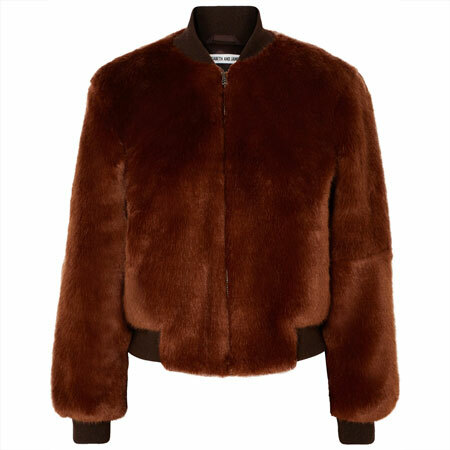 Chocolate Brown, Rich Olive Green, Sumptuous Camel and Creamy Cream. Angie, thank you for the reassurance on the wedges. I will probably get them in purple, though I like the hot pink, too. I will wait for the sales later on the season, since they are pure want. Your guess about items that make me happy was spot on. I forgot to mention the bombshell dresses because they are not something I get to wear on regular bases, but they do make me very happy indeed. Number 1 would probably be luscious fabrics. I splurged on some boutique items last year and I feel joyful everytime I touch or wear them, especially compared to the less expensive items I tend to buy. What a *fantastic* post!! As I stare out the window at Vancouver rain, I can easily identify with so many of your spirit lifting ideas, and what a gorgeous collection of updates! Love! I also felt that Ann Taylor sweater was too “gloomy” for spring, by the way. Maybe they’ll come out with a different colourway. Colour — especially in outerwear. I just *love* a special coat. I’m drawn particularly to reds, berries, purples/ lilac and royal or cobalt blue. Shine — love my silver and pewter footwear, belt, and earrings. White — especially white denim and my white sneakers. Quality — like you, I feel my very best in high quality pieces. Stripes — my favourite pattern hands down. I also love tartan and houndstooth and certain florals. Some whimsy — I love my kitty print shirts and my Out of Print tees for their humour. I like combining such pieces with dressier items. Practical AND Fashionable — I’m happiest in clothes that allow me to move and get through my days with style. Anything that pinches, feels fussy, or doesn’t allow me to forget I’m wearing it is suspect. I might still need or want it (for special occasions, say) and it might even lead to some joy at times…but not as regularly as the item that feels like a second skin to me. You have done a wonderful job describing your beautiful wardrobe. I need to do this exercise because it will help me going forward. What I know is that I am an emotional shopper, I want to embrace some selected trends, and I like subtly off beat styles. I think I can up my joy factor. I have a top that I love, a watch that I have worn down the joy factor by wearing almost every day for 7 months (still like it, but take it for granted). A black infinity scarf with thin gray stripes that I wore all winter that upped my comfort and added interest to my outfits. What makes me happy (I think of joy as higher than happy) is that I am dressing so much better, and that I am taking the time to add jewelry and scarves. I used to feel like a subpar dresser and I am happy that I now feel good no matter the situation or environment. Even when an outfit is a little off it is so close that I feel no one but me knows the difference. Many of you are much more stylish, put together, etc., but I am happy about where I am, especially compared to where I used to be. Your bright colors are perfect! I can understand that these might be necessary in the Seattle weather, especially in winter. Items that cheer me up are pretty floral patterns, stripes, navy blue, and great fitting jeans. Agree, Angie. I have always been more tactile than visual. I’m going to do a little exercise tomorrow and have a sort through a few things to see how I feel about them. Time for a mini evaluation methinks. I love your list! It makes me happy reading and seeing it. I can so feel your enjoyment! My happy things are my tall boots, long sweaters, anything in soft leather, wonderful organic feeling fabrics like cashmere, linen and cotton… A perfect soft grey/blue/green color that, to me, is the color of rain (rain makes me incredibly happy!). Shades of white, and my sentimental jewelry. Oh, and my AppleWatch, of course. It is so much fun to read everyone’s posts! I am nodding my head as I read many of your comments. My spirit lifter colors are tomato red, blue red, aqua, coral and limey greens. Geometric prints, stripes and polka dots always put a smile on my face. Accessories! Every outfit I put on is elevated to something spirited by my choice of belt, scarf, jewelry, shoes or handbag. Dresses never fail to lift my spirits. Under it all, pretty underwear and toenail polish make me feel special and boost my mood. I am not sure it is so much the qualities of the item itself but how the item works on me that most cheers me. So when I put something on and it fits the way I like, and looks how I want it to, I feel empowered. I am with you on impeccable quality. Also: comfort/ease of wear and cool factor. Sometimes I assume I am happiest in casual clothes, but I realize I do like to dress up. So I generalized with “comfort/ease of wear”–it’s the feel of the clothes on the body that makes the difference between whether I’ll reach for an item again and again or not. But then I realize that the “cool factor” and quality are also key. I’m not going around in sweats to be comfortable. I have got to feel like there is coolness about the style, and I am coming to realize that I just don’t feel fab in lower-quality items. I can feel fab in cool items that are less expensive, if they feel good and can pass for high quality. – Stripes do it every single time for me. And I find it quite hard to explain why. I love how they look, of course, but there’s more to it, on an emotional level that I can’t quite put into words. Whether I’m sporting stripes myself or see someone else wearing them, it puts a spring in my step and a smile on my face. – Bright colours (including colours or shades that aren’t flattering on myself, I enjoy them immensely on other people), my cool-toned happy colours and beautiful colour combinations, come in second. Bright colours really do lift my spirits (I find this especially effective on dreary Winter days but it works year round, even on the sunniest of days;-). And I never tire of looking at a stunning colour combo, it’s like a piece of art. – Great quality materials, excellent fit, and beautiful drape are high on my spirit-lifting list too. Oh and soft and cosy fabrics like a soft cashmere wrap. – Patterns like polka dots, florals and checks also. And pattern mixing. ETA: I’m loving all the comments too, and was nodding along with so many of you. Third Completer pieces from vests, sweaters, jackets and kimonos. I am still thinking about this but feel that clothing that lifts the mood is important. I could easily adopt your list just as it is. The only thing I might add is what could be called novelty…wearing pieces a new way, introducing a new color or shape, even wearing a new piece. I enjoy playing in my closet and finding new combinations. How clothing feels on the body is probably my number one factor for happiness. Quality tailoring and fabrics and natural fibers are key. The colors that suit me best are a bit somber – burgandy, teal, olive – but they do make me happy. Perhaps because they suit my somewhat reserved personality, as well as flattering me physically. I like solids, but lately am finding that I enjoy wearing kind of abstract and widely spaced florals. I also really like irregular geometric patterns like Ikat. “Lretty” has never been a high priority for me, but recently I am finding myself drawn to it a little more. I love this, Angie. It made me think about what sparks happiness for me, which is so different from your list! • classic patterns – I love stripes, plaid, heritage tweeds, and historic florals, but also classic Native American and Asian patterns. Grey calms me, black makes me feel kind of badass, blue lifts my spirits.